The Greatest STAR TREK Mixtape Ever! | Warped Factor - Words in the Key of Geek. The Greatest STAR TREK Mixtape Ever! Wil pops in a new C90 and records the greatest Star Trek mixtape ever. Ah, the mixtape. Many an hour of my teenage years was spent knocking up themed compilations of chart hits, movie tracks, love songs (to gift, of course), or just my favourite tunes. But I never did make a Star Trek themed mixtape, which is a shame as there's a lot of music out there to include. By no means am I including every single Star Trek related song there has ever been, oh no, I've hand picked these gems just for your listening pleasure. 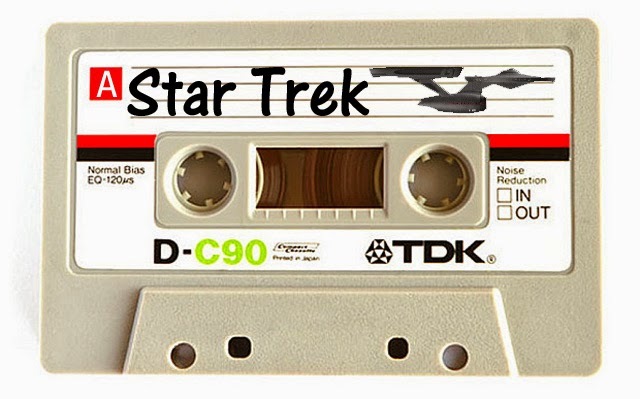 So sit back, relax and enjoy The Greatest Star Trek Mixtape Ever! Track 1: It has to be the original Star Trek Theme Tune. What else could you kick this compilation off with?.. It's time to spool to the end of the cassette and flip over to the Side B - which can be found here on Page 2. Make the jump because there are 10 more tracks to enjoy on The Greatest Star Trek Mixtape Ever!